An issue that often arises after a couple gets divorced is delinquent child support and/or alimony payments. For example, nearly $33 billion was owed in child support in 2013, according to the Spruce. The amount of child support that was due to be paid averaged out to be $5,774 per year. However, most custodial parents received less than $4,000 per year. This means custodial parents may wind up receiving less than $330 per month to help pay for important expenses such as housing, food, medical care, and so forth. In an effort to obtain money owed after a divorce, it may be possible to initiate a wage garnishment action from the delinquent parent. What Exactly is a Wage Garnishment? Wage garnishment is a process in which a portion of an individual’s earnings is withheld to satisfy a debt obligation. Wage garnishment is a legal process whereby a court enters an order instructing the debtor’s employer to withhold a specific sum or percentage of the debtor’s earnings. Can You Garnish Someone’s Entire Paycheck? No. There are laws in place that limit the amount of money that can be garnished since the debtor still needs to receive enough funds to cover their living expenses. Typically, courts order the garnishments of a debtor’s “disposable income.” This is the money available to you after paycheck deductions are completed (e.g., FICA deductions, state taxes, etc.). In some cases, garnishment for owed child support and alimony can be as much as 60 percent of the debtor’s disposable income. If the debtor already supports a child from a different spouse, then their wages can be garnished up to 50 percent. However, if they do not support another kid, their wages can be garnished up to 60 percent. Furthermore, if they are delinquent in their child support obligations by more than three months, an additional 5 percent of wages can be garnished. In addition to a fairly large percentage of wages being garnished, the Office of the Texas Lawyer General instituted a new policy that prevents parents significantly behind on payments from renewing their vehicle registrations, according to Dallasnews.com. In Fiscal Year 2015, the Texas AG’s office collected nearly $3.9 billion in child support, which makes Texas one of the best states at collecting support payments. A parent ignoring their financial responsibilities to support a child, or an ex-spouse, carries numerous consequences. It places a tremendous amount of emotional and financial stress on the custodial parent and can adversely affect the development of the child. 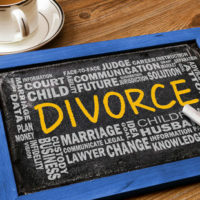 This is why it is so important to take legal action if your ex-spouse is no longer making their court-ordered support payments. The experienced and skilled Houston child support lawyers at Lindamood & Robinson, P.C. are ready to assist you during this difficult time. Our team of lawyers possesses decades of experience helping individuals get the child support and/or alimony they are owed. Contact our office today to schedule an in-person consultation.